Ultimate Compound is absolutely worth trying, and follow up with Ultimate Polish. Looking at your image. There are lines that appear to be in arcs. Thinking these could be your sanding marks? If so, Ultimate Compound may remove them. Then follow up with Ultimate Polish. Or they could have been inflicted by contaminants getting into the polishing pad. If it is these, you may be able to clean the area again and use a fresh clean pad with Ultimate Polish. Thinking these could be your sanding marks? I believe that you are right that these could be sanding marks. I will wash the pad and the area, and apply UC then UP tomorrow. I will post the result here. You will either need to wash the pad or use a different one for the UC and UP. Otherwise, some of the Ultimate Compound particles might slightly scour the surface id left in the pad when polishing. What type of applicator pad are you using? Microfiber or Foam? I agree at this point it would be recommended to go in with an application of Ultimate Compound, or any aggressive compound. It can take quite a heavy technique to remove sanding marks by hand. Most any product will make the appearance of a sanded area look more glossy, but that does not mean the sanding marks have been removed. Working by hand, keep your hand flat, use moderate pressure, circular motions, working the product in for about a minute or so. You can repeat this as many as 6 or so times in any given area. After that many attempts, it's likely going to take a machine to remove. I applied UC with MF pads by hand. It looks good. The swirls are barely noticeable, but there is still some seen under direct light. I think I need to do more rounds or I will just get a machine buffer. Do you recommend affordable machine buffer for light use? First off, we have zero expectations that Ultimate Polish can remove even 3000 grit sanding marks, especially when used by hand. That is simply not what it was designed to do. Ultimate Compound is going to be far more effective at this, but the applicator you choose to apply it with can play a huge role in your success or failure. Cotton terry cloth can provide a lot of bite, which can be good and bad. Good in that it can provide a bit more cutting power, but bad in that it's sort of random and so can very easily haze or mar the paint. Unfortunately, the latter scenario is usually what ends up happening. We highly recommend using a soft foam applicator pad, like the ones we supply with many of our waxes. Fingertip pressure is to be avoided as well as this can easily create "hot spots" that can mar the paint significantly. Keep you fingers as flat as possible behind the pad, work the UC in a circular motion in an area at least double the size of your spot sanding correction. 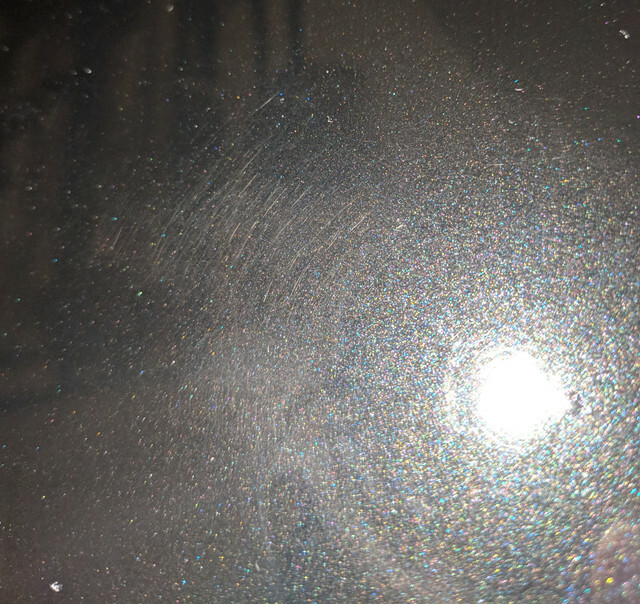 Keep in mind that some paints are super touch sensitive and even hand compounding can lead to some light to moderate hazing, even when done with the best technique and the best products. It should remove the sanding marks (or other defect you're chasing) but a bit of hazing shouldn't be a big surprise. This is almost always a two step process - compound to remove the initial defect, and polish to refine the surface. That is where your Ultimate Polish comes in - step two.